(NACE 2 or SA 2.5 or SSPC-SP10). 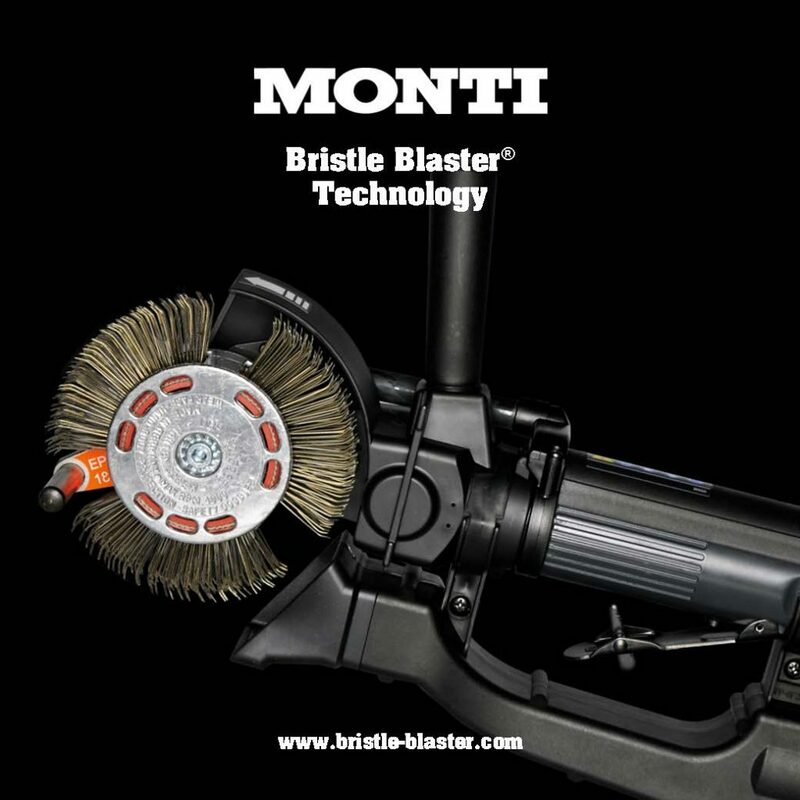 The Bristle Blaster® is a hand-held tool, and therefore the method is especially competitive for spot repair, touch-up jobs and weld seam preparation. In addition, Bristle Blasting is used in areas and for applications where conventional blasting is not allowed, not possible or prohibitive like the professional removal of corrosion and surface preparation of tanks, pipes etc. The approval according to ATEX directive 94/9/EC is available and reflecting the European standards like EN1127-1: 2007 EN13463-1: 2009 EN13463-5: 2003.